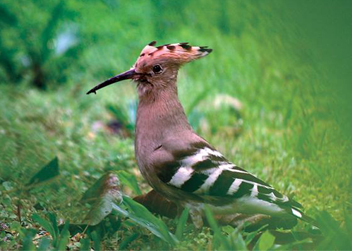 Bird Watching tour in Nepal is the perfect tour package for Bird lover. 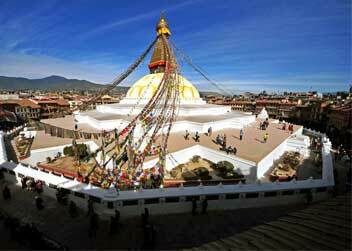 Probably Nepal is the best place for bird watching. 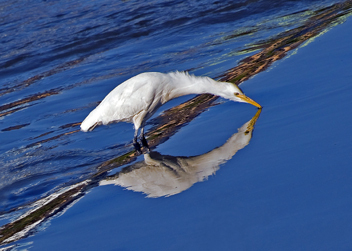 You will see various species of birds in one place. You will be exploring villages, forests, farmland, lakes and wetlands during this trip. 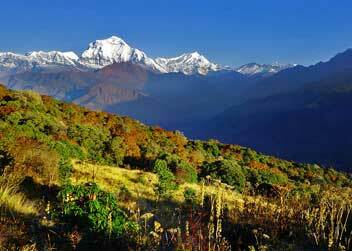 In the morning we set off to the Shivapuri Watershed and Wildlife Reserve situated about 12 kms north of Kathmandu. Some of the birds in the area are the Laughing Thrush, Crested Serpent Eagle, little Pied Fly Catchers, Rupy-throats, and Babblers. At Nagarjuna at 2105 meters pheasants, magpies, sunbirds, and ruby-throats are found. We will return back to Kathmandu in the evening. Overnight at a hotel in Kathmandu. After breakfast drive to Taudaha which is 16km away from Kathmandu on the way to Dakshinkali. 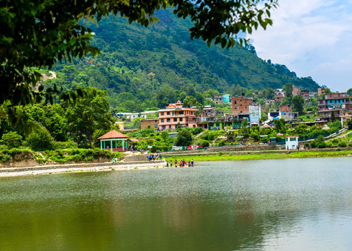 It is considered one of the sacred lakes in the sense that while draining all the waters out from Kathmandu valley the snake king, Karkotak was given a shelter over there. 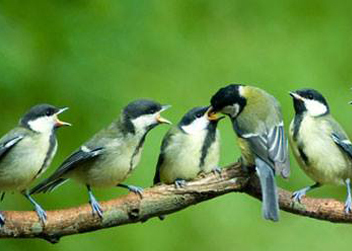 Due to less human obstruction, birds are found enjoying in Taudaha especially in the morning and in the evening. 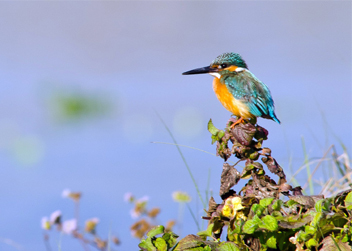 Taudaha is an ideal place to see wild ducks and the water birds. Mostly we find Rudy Shelduck and common coot. After breakfast drive to the airport. An hour’s flight will take you to Nepalgunj. One of our representatives will pick you up from the airport and assist you to the resort which is around 2 and ½ hours drive. Welcome drinks served on arrival and briefing about the lodge, surrounding along with the program details. After lunch, we head for activities. Village tour to nearby ethnic Tharu village to learn more about the lifestyle and culture of Tharu people. After breakfast at the resort, Jeep Safari for one hour, An excellent opportunity to get the lifetime experience on the jungle and to see the Wildlife of The Park. Visit to Visitor Center, Crocodile Breeding Center & Tharu Cultural Museum. 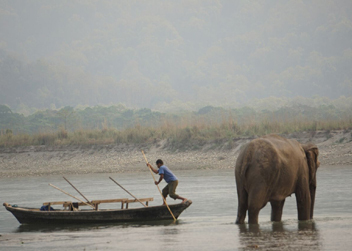 After lunch, you will be taken to the Jungle to see the mighty Karnali River with all its aquatic games, birds and crocodiles. If you are lucky you might see the Gangetic dolphins too. After breakfast, you will drive back to Nepalgunj and fly back to Kathmandu. Rest of the day you can stroll around the street and shops in Kathmandu. After breakfast starts full day sightseeing in UNESCO heritage sites. Sightseeing at Bouddhanath- World's biggest stupa, one of the holiest Buddhist pilgrimage where all devout Buddhists come for a pilgrimage, Kathmandu Durbar Square- the medieval King's palace who ruled the then Kathmandu Kingdom. Visit Hanuman Dhoka Palace, temples, Kumari Ghar which is dedicated to living goddess Kumari, Swayambhunath- A Monkey Temple from where you can see the magnificent views of Kathmandu Valley and tribute to Buddhism. Rest of the time is free on your own. After Breakfast drive to Pokhara. 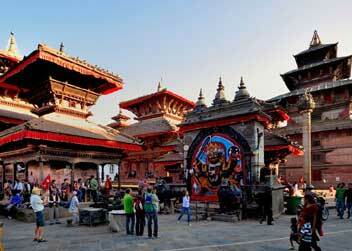 It is 5-6 hours drive from Kathmandu. 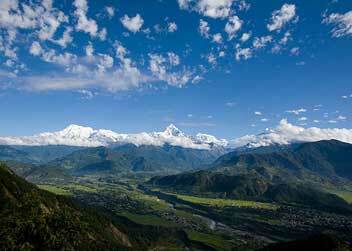 Pokhara is a remarkable place of natural beauty, situated at an altitude of 900m from the sea level and 200km west of Kathmandu valley. The enchanting town has several beautiful lakes and offers stunning panoramic views of Himalayan peaks. 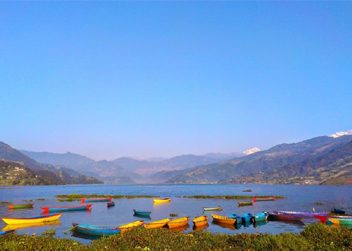 The serenity of lakes and the magnificence of the Himalayas rising behind them create an ambiance of peace and magic where you have a newly experience about the Pokhara valley could be bird watching with experience of Boating on the Phewa lake. Check in hotel. Enjoy walking along the bank of Phewa Lake in evening, admiring the stunning reflection of the Fish Tail Peak in the blue Phewa Lake's water. In Pokhara, the two well-known lakes Phewa Tal and Begnas Tal and the surrounding areas are highly recommended for birds watching. Of particular interest are the areas with minimum disturbances, away from human inhabitation the forests around the south shore of Phewa lake. The summit of Annapurna's and Machhapuchhare create an ambiance of peace and magic and the surrounding of the valley rewards an extraordinary habitat for varieties of birds. Look out in the fields and pools especially in the winter for Egrets, Herons, Pipits, and Buntings etc. Other birds occurring are Gulls, Terns, Ducks, and Falcons etc. We drive to Phedi for 45 minutes and walking through sparse villages, farm terraces and a short stretch of woods we reach to the Dhampus hill after few hours of walk. A close face to face view of a long range of Annapurna and other mountains greets us on reaching Dhampus. Dhampus is also the appropriate place for the Bird Watching. We enjoy the amazing sunsets on the Himalayas in the evening and sunrise (next morning), scenery that you will treasure for long. 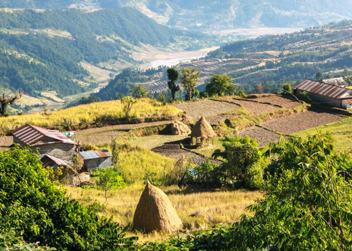 Dhampus is a small, ethnic Gurung village. A hike to Dhampus will give an opportunity to watch the daily lives of these villagers from milching the buffaloes to their daily works on the farms. There you will find great hotel and lodge with all modern facilities. Early morning enjoys the sunrise view over the Annapurna ranges, Machapuchhre, Dhaulagiri. After Breakfast, we trek towards Pothana through the jungle. On the way, we will find many Birds around us. Finally, we reach Naudada. Take 45 minutes to drive to Pokhara from Naudada. Check in hotel. Rest of the day is free for rest and refreshment in the hotel. Evening you will have free time on your own. After Breakfast drives back to Kathmandu. Take the evening leisure on your own.